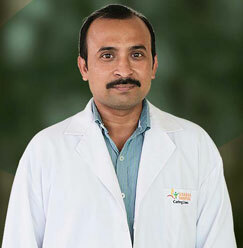 Dr. Chandan Kumar is working as an Expert Associate Professor & Consultant Physiotherapist in Sharda Hospital. He is working with us since 9 months. He has a successful career with over 13 years of teaching and clinical experience. Evaluate, monitor and providing direct patient care to Adult & Paediatric Neurological and Neurosurgical individuals with physical disabilities and functional limitations in clinic, inpatient, outpatient, and outreach programs. Planning therapy programs, directing and assisting patients in exercises and use of wheelchairs and other devices, and evaluating patient progress; educating patients and families in appropriate physical therapy methods; leading the work of and serving as a resource for other therapists. Memberships – Indian Association of Physiotherapists (Registration no – L- 13215). Member of review committee of OMICS Medical Journals Publishing Group. Effect of Manipulating Object Shape, Size and Weight Combined with Hand-Arm Bimanual Intensive Training (HABIT) in Improving Upper Extremity Function in Children with Hemiplegic Cerebral Palsy-A Randomised Controlled Trial: - Published in Journal of Novel Physiotherapies2017, Volume 7 • Issue 2 • 1000338. Comparison Between Task Oriented Training & Proprioceptive Neuromuscular Facilitation Exercises on Lower Extremity Function in Cerebral Palsy – A Randomized Clinical Trail: - Published In Journal Of Novel Physiotherapies 2016, Volume 6 • Issue 3 • 1000291. Effectiveness of Manual perturbation exercise in improving balance, function & mobility in stroke patients- A randomized controlled trial: - Published in In Journal of Novel Physiotherapies 216, Volume 6 • Issue 2 • 1000284. A comparison between task oriented & client-centred task-oriented approach to improve upper limb functioning in people with sub-acute stroke: - Published in In Journal of Novel Physiotherapies 2015, Volume 5 • Issue 5 • 1000276. Effectiveness of Wii Fit plus Balance Board to Improve Balance, Mobility and Confidence in Community Dwelling Elderly Fallers: A Randomized Clinical Trial: - accepted in International Journal of Physical Medicine & Rehabilitation 2015. Comparison between Proprioceptive Neuromuscular Facilitation and Neuromuscular Re- education for reducing facial disability and synkinesis in patients with Bell's palsy: a randomized clinical trial: - published in International journal of physical medicine & rehabilitation, 2015, Volume 3 • Issue 4 • 1000290. Effectiveness of core stability exercise program on abdominal and back strength in school going children: A randomized controlled trial: -published In International Journal Of Nursing Didactics, 5: 7 July (2015). The Efficacy of Anterior versus Posterior Joint Mobilization on Functional Activity in Patients with Adhesive Capsulitis: - published in Smt. Kashibai Navale e – Journal of Physiotherapy 2014. Effectiveness of Myofascial release on spasticity and lower extremity function in diplegic cerebral palsy: randomized controlled trial: -published in International journal of physical medicine & rehabilitation, 2014, Volume 3. Issue 1.1000253. “Comparison between Electrical Stimulation over motor point and TENS over acupuncture point in Reducing Spasticity and Improving Function after Stroke: Randomized Clinical Trial” Published in International Journal of Physical Medicine and Rehabilitation 2014, Volume 2 • Issue 6 • 1000237. Effectiveness of Mental Practice Combined with Physical Practice in the Treatment of Post Stroke Patients Published In Journal of Novel Physiotherapies 2014, Volume 4 • Issue 31000216. Effectiveness Of Transcutaneous Electrical Stimulation On Acupoints Combined With Task- Related Training To Improve Lower Limb Function In Subjects After Sub-Acute Stroke- Published In International Journal Of Physiotherapy and Research, IJPR-A-2013-313(14-06- 2013)2013. Effectiveness of Task Oriented Circuit Training on Functional Mobility and Balance in Cerebral Palsy published in Indian Journal of Physiotherapy and Occupational Therapy,Vol.7, No. 4. October-December 2013. Effect of obstacle ambulation training on walking ability for ambulant stroke subjects- published in Indian Journal of Physiotherapy and Occupational Therapy, Vol. 8, No. 02,April-June 2013. Effect of Neuromuscular Electrical Stimulation Combined with Cryotherapy on Spasticity and Hand Function in Patients with Spastic Cerebral Palsy- Published in Indian Journal of Physiotherapy and Occupational Therapy, Volume 07 Number 01, January - March 2013. The Effect of Task Oriented Training on Hand Functions in Stroke Patients- A Randomized Control Trial- Published in Indian Journal of Physiotherapy and Occupational Therapy, Volume 06 Number 03, July - September 2012. Effectiveness of Physiotherapy for the Handwriting Problem of School Going Children –Published in Indian Journal of Physiotherapy and Occupational Therapy, Volume 06 Number 03, July - September 2012. Relationship Between Motor Impairments of Hand and Manual Ability in Spastic Cerebral Palsy Children- Published in Indian Journal of Physiotherapy and Occupational Therapy, Volume5, Number 4, October-December, 2011. The efficacy of bilateral training on functional Recovery of upper extremity after stroke - Published in Indian Journal of Physiotherapy and Occupational Therapy, Volume 5, Number 2, April-June 2011. Functional Outcome between Ischemic and Haemorrhagic Stroke Patients After In-Patient Rehabilitation- Published in Indian Journal of Physiotherapy and Occupational Therapy, Volume 5, Number 2, April-June 2011.